Pingback: “Ashes to ashes” in PGCPS District Md. | pgcps mess - Reform Sasscer without delay. Pingback: The Rot that is PGCPS Sasscer. | pgcps mess - Reform Sasscer without delay. Pingback: Outrageous BOE Featherbedding of $2 million @Sasscer | pgcps mess - Reform Sasscer without delay. Pingback: PGCPS Custodian Sexually Assaulted… | pgcps mess - Reform Sasscer without delay. Pingback: Search committee hears from community leaders. | pgcps mess - Reform Sasscer without delay. 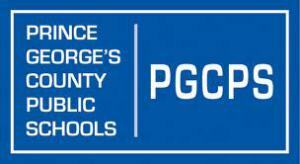 Pingback: Prince George’s Co. Schools CEO Named | pgcps mess - Reform Sasscer without delay. Pingback: PGCPS loses $1.4 million… | pgcps mess - Reform Sasscer without delay. Pingback: Prince George’s Schools CEO… | pgcps mess - Reform Sasscer without delay. Pingback: Opinion concerning six-month plan…. | pgcps mess - Reform Sasscer without delay. Pingback: Obama launches new efforts aimed at empowering | Help Change The World. The Future Of The County Is Now. Pingback: Obama launches new efforts aimed at empowering | pgcps mess - Reform Sasscer without delay. Pingback: CEO’s Transition Team Shares Report with Board of Education. | Help Change The World. The Future Of The County Is Now. Pingback: CEO’s Transition Team Shares Report with Board of Education. | pgcps mess - Reform Sasscer without delay. Pingback: Major scandal underway in Pgcps. | Help Change The World. The Future Of The County Is Now. Pingback: Major scandal underway in Pgcps. | pgcps mess - Reform Sasscer without delay. Pingback: Prince George’s County leaders must remain sensitive to public interest. | Help Change The World. The Future Of The County Is Now. Pingback: Colby R. White placed on leave after insurance fraud. | Help Change The World. The Future Of The County Is Now. Pingback: Colby R. White placed on leave after insurance fraud. | pgcps mess - Reform Sasscer without delay. Pingback: BOE member calls for special education audit. | pgcps mess - Reform Sasscer without delay. Pingback: BOE member calls for special education audit. | Help Change The World. The Future Of The County Is Now.